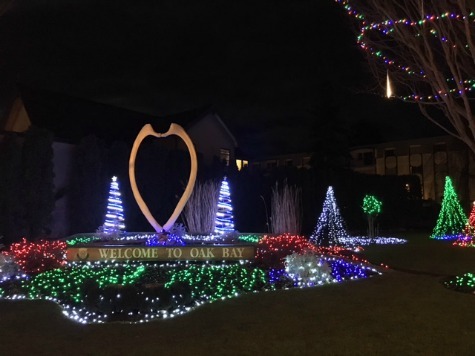 The above photo was taken on the corner of Oak Bay Avenue and Foul Bay Road showing off this beautiful Christmas light display... 'Welcome to Oak Bay'! 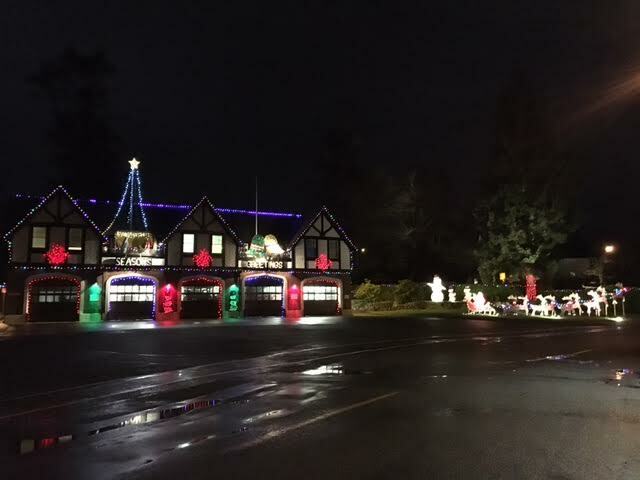 The whole Avenue is lit up and is a nice place to stroll during the holiday season and stop for bite along the way. Come and experience the resturants. The real estate activity this past year has sure changed. It was a very busy time in Oak Bay and with the lack of inventory the prices increased, all my listings had multiple offers this year selling well over the asking price and most without any subject conditions. If this is what you are hoping for when selling your home please contact me to discuss in more detail. Year to date in Oak Bay there were 309 homes sold and 21 in the month of November. Below is a graph from the Real Estate Board that I love to review when pricing a home for sale. I hope this may be of interest of you too. My Victoria Market Update page has just updated as well if this is of interest. Lastly, below is an Oak Bay Market Report for December 2015 that I copied to help learn more about the market. Wishing you all the very best in 2016! 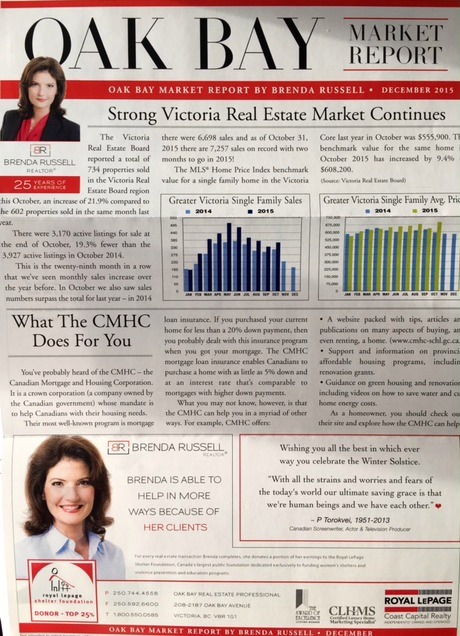 I'm heading into my 26th year as a Realtor® so if you have any questions or need some help and guidance please call me direct at 250.744.4556 or toll free at 1.800.550.0585. twitter: brussell6 email: brenda@brendarussell.ca Look forward to hearing from you. Merry Christmas!